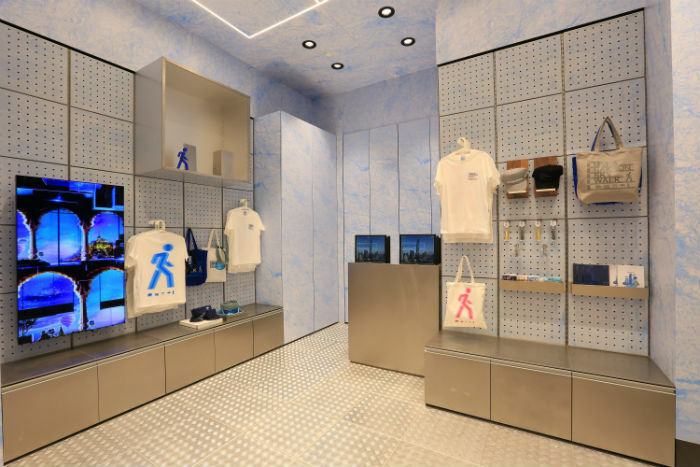 King Power Mahanakhon has finally been unveiled on 16 November and this new landmark makes its way to our itinerary because it’s certainly not just another duty-free mall. First of all, at 78 storeys high, King Power Mahanakhon is certainly one of Thailand’s tallest building. 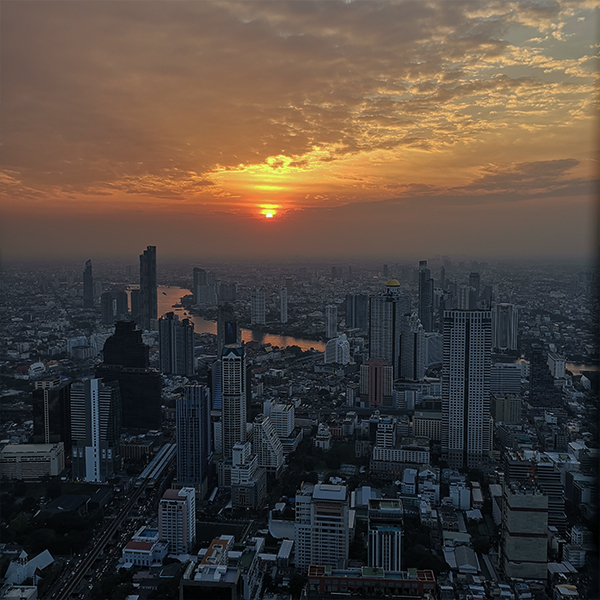 In fact, it boasts the highest rooftop bar and observation deck in Thailand – in other words, it is going to offer you the best bird’s eye view of Bangkok. Avenue One visited King Power Mahanakhon a few weeks ago. Read on to find out what our experience was like and why you should put it into your itinerary the next time you visit Bangkok. 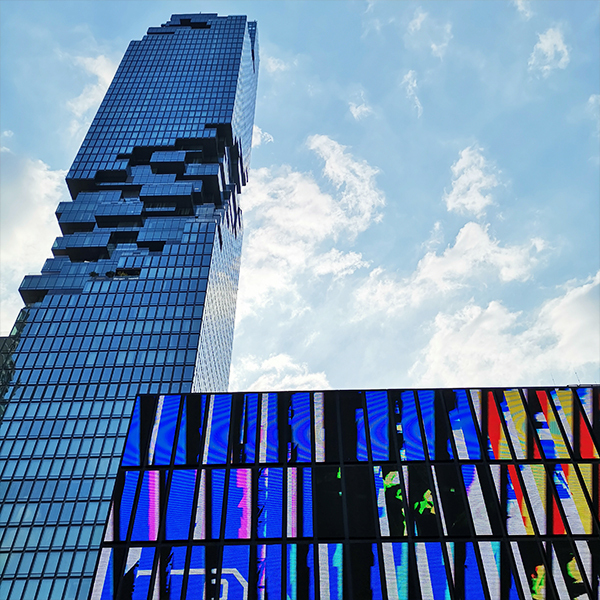 King Power Mahanakhon is connected to the Chong Nonsi BTS Station. We took this photo of the iconic building from the station – that’s how near it is! You know how Bangkok traffic can be like and we’ve often lament about tourist spots that require us to get on a cab or Tuk-tuk to get to. 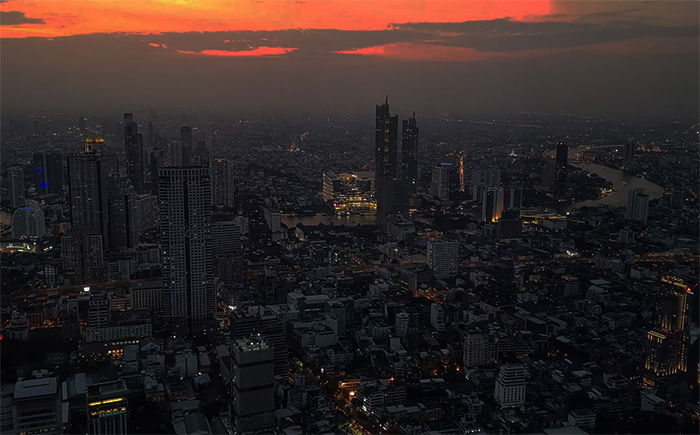 Thankfully, King Power Mahanakhon is located in the heart of Bangkok’s central business district, and is directly connected to Chong Nongsi BTS station. At level 1, you walk through a futuristic-looking corridor before you get to the elevator. 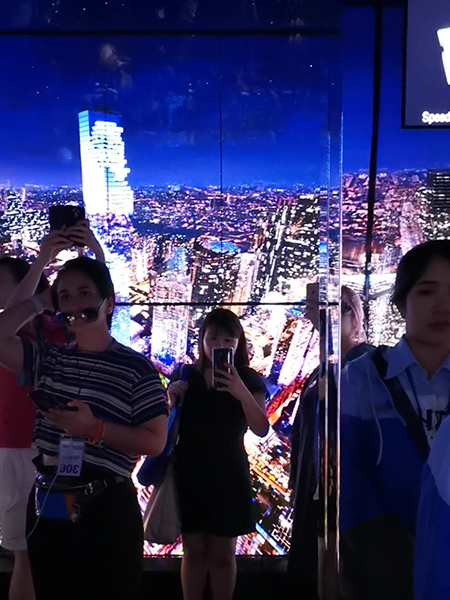 King Power Mahanakhon is also where the fastest elevator in Thailand is at. Racing you up to the 74th floor within 50 seconds, the elevator is also covered with video panels so it feels like a futuristic ride. We were absolutely enthralled by the experience, and can’t believe that’s just the start of our visit at this building! This is how the video-themed elevator looked like when we took it. You get a 360-degree panoramic view, thanks to the ceiling-to-floor windows. 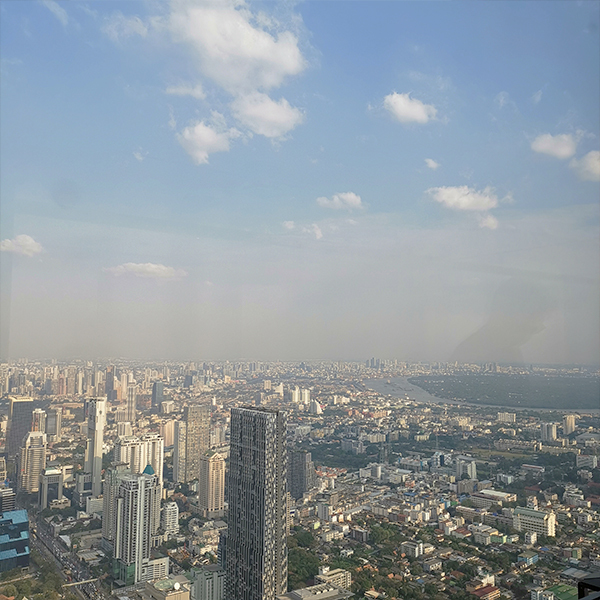 Get an unobstructed view of Bangkok’s cityscape at level 74, where you’re surrounded by ceiling-to-floor windows to experience a 360-degree panoramic view. Gorgeous view of the cityscape we captured at Level 74. 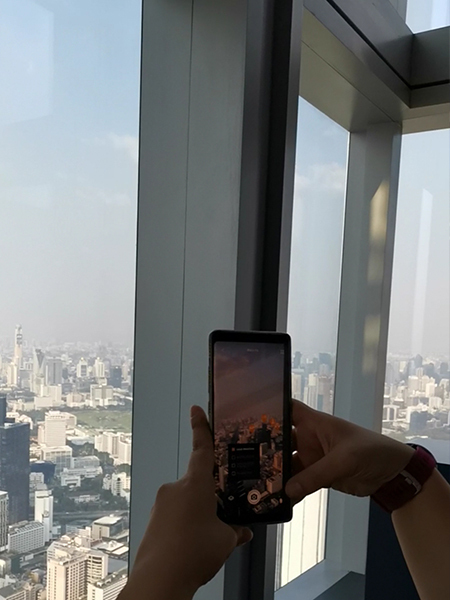 The AR function allows you to learn more about different landmarks in Bangkok. 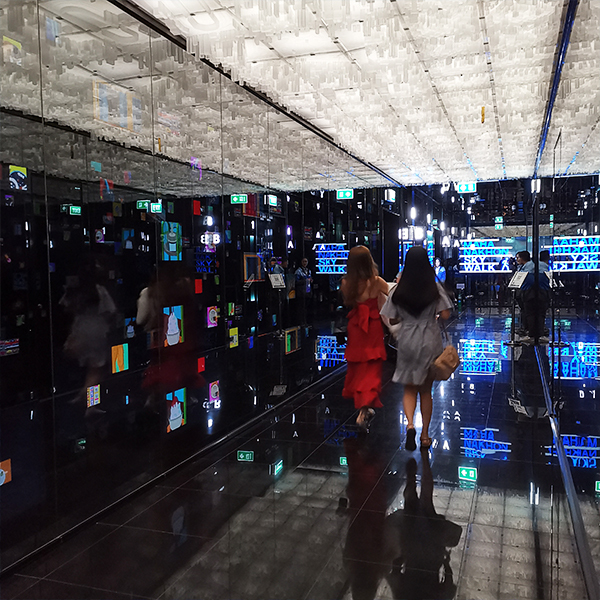 You can learn more about the key landmarks in Bangkok through the interactive screens and an app you can download onto your phone to get an Augmented Reality (AR) experience. Tip: To get the best photos, place your phone flat on the window to reduce reflective glares! One of the highlights at King Power Mahanakhon for us was certainly the rooftop bar and outdoor observation deck. 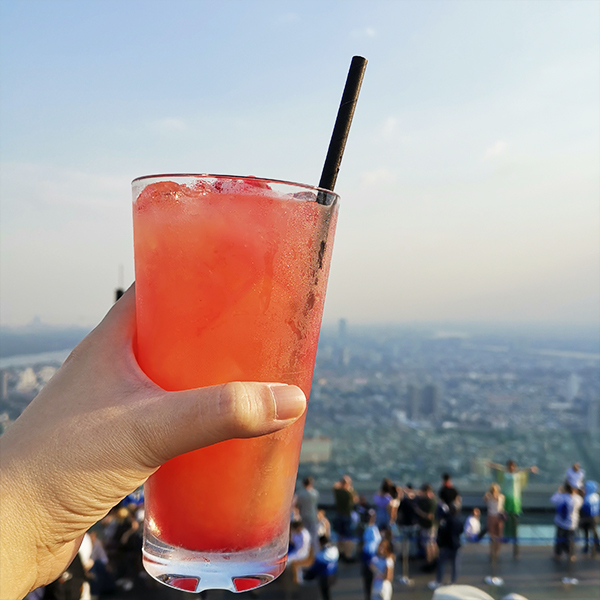 At 78-storey high, we got to enjoy strong, comfortable breeze, while sipping on a glass of mocktail. Watch the sun set before your eyes. 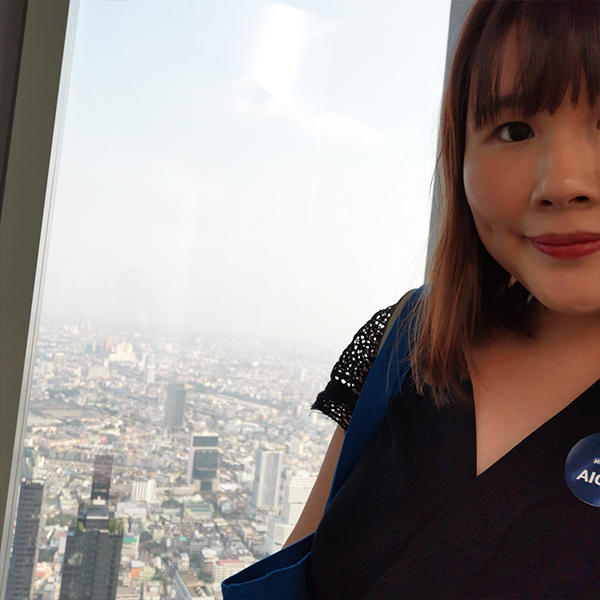 At 314 metres, this is the highest viewpoint in Bangkok, and we weren’t surprised that we could get a fabulous view of city’s skyline. 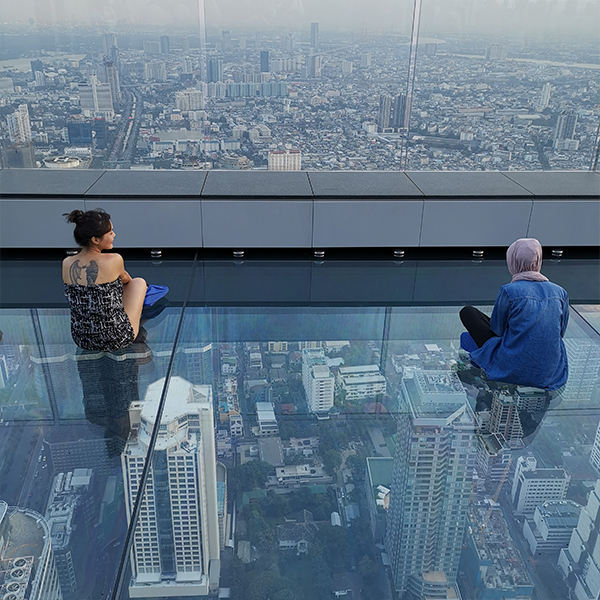 While Level 74 was an educational journey that allows us to observe and identify landmarks in Bangkok, Level 78 is where we kick back and check out the views in awe. Linger on and you’ll get to enjoy a charming night view. Psst, the attraction is open till midnight, so linger on with your friends and kick back over their signature drinks and cocktails. Tip: Visit at around 5pm, where the sun is down so you enjoy less glare and more cooling temperatures. Best part? 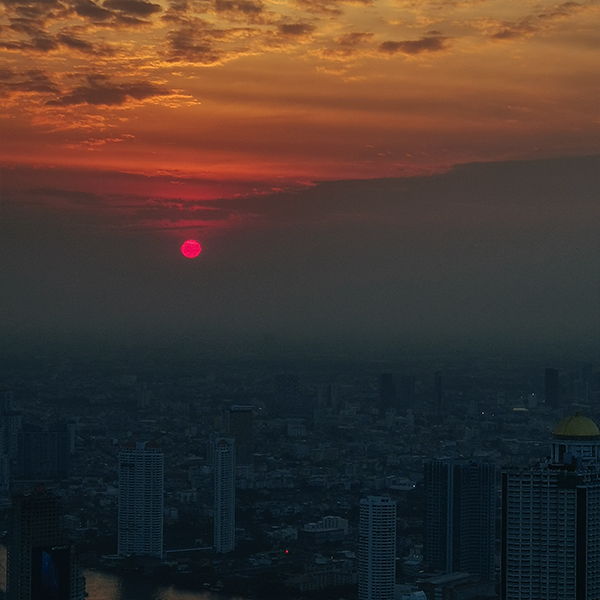 You get to wait for the gorgeous sunset view that is quite unparalleled at the observation deck. Then, linger on for the night view, which is another kind of charming. Don’t forget to get your camera ready for the perfect Instagram moment! Overcome your fear for heights and walk on one of the world’s largest glass tray floors at a height of 310 metres. There are ledges for you to sit on until you’re ready to start walking on the tray. 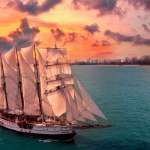 But hey, we strongly urge you to go for it, because this is where you can take amazing photos that gain you bragging rights! Tip: For the best photos, consider sitting, or even lying on the glass tray. Of course, what’s a King Power property without duty-free shopping! 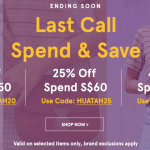 Grab souvenirs, snacks, beauty products, alcoholic beverages… you name it! Tip: Don’t forget to bring along your passport to enjoy duty-free prices. King Power Mahanakhon is located at 114 Narathiwas Road Silom, Bangrak, Bangkok, Thailand. 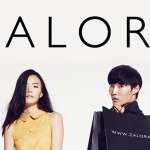 It is directly accessible from Chong Nonsi Station. The attraction is open daily from 10am to 12 midnight, with the last admission at 11pm. 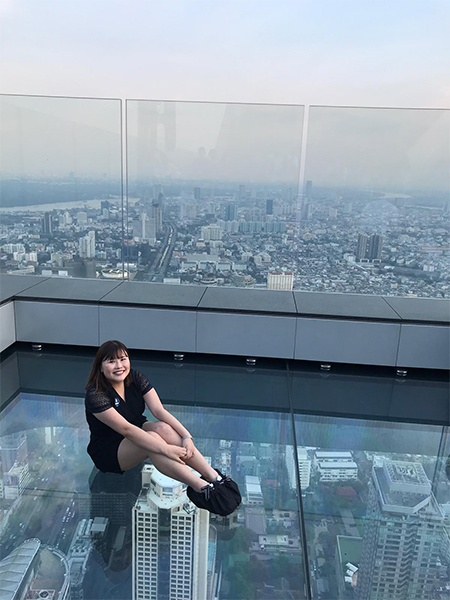 The Mahanakhon SkyWalk ticket retails at 1,050THB. The editorial director of Avenue One and beauty e-magazine Daily Vanity, Kristen Juliet has been a journalist for more than 10 years. She spends a lot of time dreaming about her next travel destination, to feed her insatiable wanderlust. And her favourite travel companion is her brother, who is also her de facto personal travel planner.